Pinaud Clubman (since 1810) .5 oz Professional Moustache wax with brush/comb for moustaches, beards, sideburns and eyebrows. 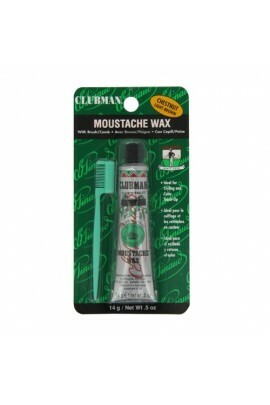 Provide an easy way to style moustache hair and makes hair stay just where you placed it. Excellent for training n.. The GiGi All Purpose Honee Microwave Kit offers a complete system for fast and efficient hair removal in the salon or at home. It is effective for all waxing services while being gentle to the skin. For use with Natural Muslin, Bleached ..
Brazilian Bikini Wax Microwave Kit is a complete hard wax kit specifically designed to remove coarse and stubborn hair from the bikini area. This hard wax formulation is fast, efficient and gentle and requires no strips for removal. Idea..
Creme Wax Microwave Formula is gentle on sensitive skin and provides excellent adhesion without irritation. This convenient microwave formula melts at lower temperatures. A complete wax kit for salon or home use. Kit Includes: ..
Hemp is renowned for its anti-inflammatory properties. Cannabis Sativa, a drug-free hemp derivative rich in Essential Fatty Acids, locks in moisture. This balanced, gentle, aromatic blend is pleasing to the senses and is perfect for all .. Strip Free Honee is a microwavable European hard wax that requires no muslin strips. GiGi Strip free Honee forms a soft, pliable piece that may be peeled off. 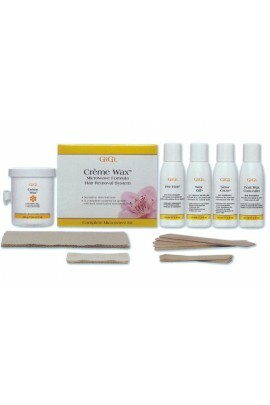 A complete wax kit for salon or home use. Complete Microwav..
Brazilian Waxing is gaining popularity, becoming one of the hottest profit centers in today's salon market. 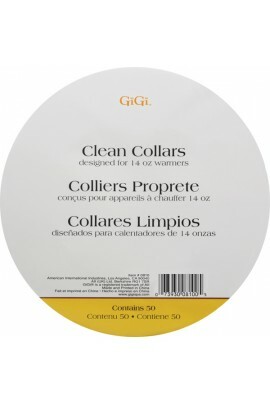 GiGi Brazilian Waxing Kit is a complete hair removal system that provides everything needed to perform a Brazilian waxing service..
Clean Collars fit the rims of the warmers and prevents the dripping of wax onto the warmer. ..
A professional Starter Kit is a starter kit for beginner and cost conscious professional. It contains all the neccessary wax and lotions for a complete professional service. Kit contains: Wax Warmer with Cover Creme Wax - 14oz / ..
GiGi Slow Grow Two-Step Body Hair Removal System that removes body hair with ease. The microwaveable hard wax easily removes unwanted hair from all parts of the body. A post soothing cream is applied immediately after waxing to soothe irri..
GiGi Slow Grow Body Lotion is enriched with rich emollients and antioxidants to moisturize, condition and soothe skin. GiGi Slow Grow Body Lotion is enriched with rich emollients and antioxidants to moisturize, condition and soothe skin. Absor..
GiGi Slow Grow Body Oil is infused with rich emollients and antioxidants to moisturize and soothe skin. 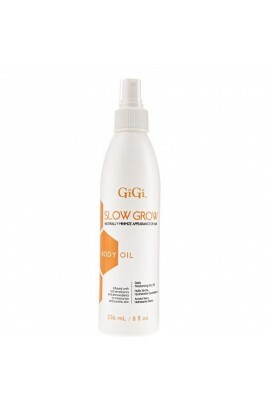 GiGi Slow Grow Body Oil is a daily dry oil that minimizes the appearance of hair regrowth while deeply moisturizing the skin. This oil ..
GiGi® Slow Grow™ Body Scrub is a specially formulated daily exfoliating scrub with rich emollients to soothe and condition while papaya extracts help minimizes the appearance of new hair growth. 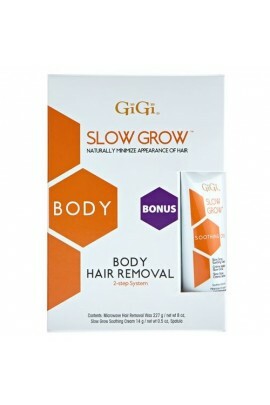 GiGi Slow Grow Body Scrub is a daily scrub that .. 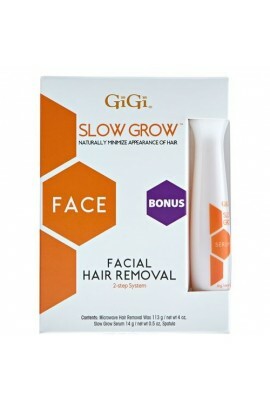 The GiGi Two Step Slow Grow Facial Hair Removal System works in conjunction to gently remove facial hair. A gentle facial hard wax removes all unwanted facial hair from fine to coarse, preparing it for the post treatment. The post facial s.. The GiGi Pro 1 Kit is a complete professional hair removal system that contains everything the professional esthetician needs to satisfy even the most demanding clients. The GiGi Pro 1 Kit includes an array of lotions, cleansing products, Gi..
Stixie.com offers a wide range of products and brands from the Nail Industry to give you or your clients the best manicure & pedicure. We only sell 100% authentic products. Enjoy your shopping experience with us!